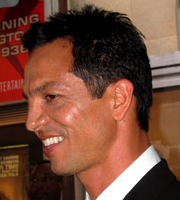 An often under-rated actor, Benjamin Bratt is best known for his role of Det. Rey Curtis on the television show "Law & Order" ; a role which garnered him an Emmy Award nomination for Outstanding Supporting Actor in a Drama Series. He has also starred in the movies: "Miss Congeniality "and "Red Planet"; and was known to have dated Julia Roberts for several years.